Lancashire Post: Preston North End defender Andy Boyle has joined Doncaster Rovers on loan for the remainder of the season. Lancashire Post: Preston North End have issued a statement denying a fee has been agreed with any club for striker Jordan Hugill. Morecambe Visitor: Morecambe have signed Plymouth Argyle’s Gregg Wylde on loan for the rest of the season. Wigan Post: Luke Burke and Sam Stubbs have extended their loans at AFC Fylde until the end of the season. Blackpool Gazette: Leeds United loanee Lewie Coyle is focusing purely on Fleetwood Town amid speculation he may be recalled to Elland Road. 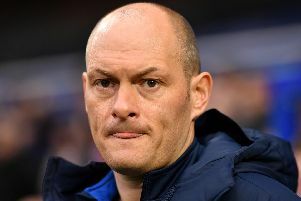 Lancashire Post: PNE boss Alex Neil would like to do some deals before the window closes – but says a lot of it is out of the club’s hands. Wigan Post: Wigan Athletic boss Paul Cook is adamant the club does not want – or need – to sell their top players. Morecambe Visitor: Shrimps manager Jim Bentley only wants to bring in players who will go straight into his starting XI. Daily Mail: Juventus are confident they will sign Liverpool midfielder Emre Can once his contract expires in the summer. Daily Telegraph: Chelsea will refuse any Manchester City offer for Eden Hazard. Daily Mail: City are close to the £4m signing of Jack Harrison from New York City; he will then be loaned to Middlesbrough.